Sarah Seeger, director of Tenancy Services at Bath-based housing association Curo, won a prestigious national award at the Women in Housing Awards held in Manchester on 11 October. Thanks to what Curo describes as her “influential work” relating to Universal Credit, Sarah won the ‘Professional of the Year’ category at the awards which is run by the Chartered Institute of Housing and Inside Housing magazine. The firm says that Sarah’s commitment to supporting customers facing financial hardship, coupled with her “tireless” campaigning, has played a key role in shaping important changes to Government welfare reforms. 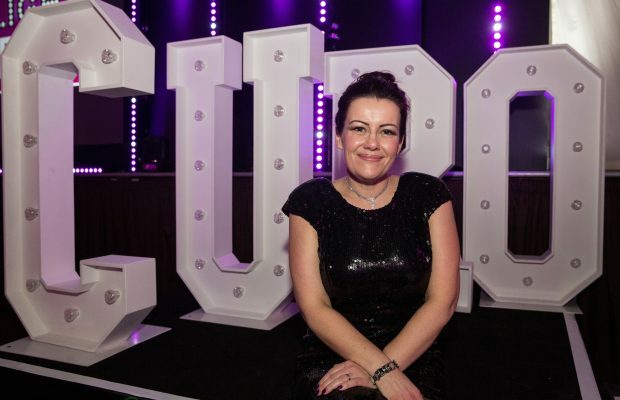 Sarah joined Curo in 2010 as manager of the organisation’s Anti-Social Behaviour Team where – according to Curo – she quickly gained “huge respect” from colleagues and led a new approach to supporting people. Sarah’s characteristic support-led approach continued when she was promoted to head of customer accounts, a role she held for four years before becoming director of Tenancy Services. Curo chair, Liz Potter was also a finalist in the awards, shortlisted in the ‘Board Member of the Year’ category. The Women in Housing Awards aims to recognise and celebrate the achievements of women working in housing. Now in its sixth year, the awards highlight the work and achievements of the many women who make “a major contribution” to the industry.